Toronto Cat Rescue receives many daily inquiries from owners asking us to take in their family pets, which for various reasons they no longer are able to keep. As a foster home based organization, our priority is helping cats that are struggling physically and emotionally in shelters. Due to the overwhelming number of cats surrendered to shelters each year, our foster homes are always full. If you have exhausted all options (including our Behaviour Counseling service) and find yourself in a position where you must re-­home your cat, Toronto Cat Rescue offers a Courtesy Adoption Posting Program. Our Courtesy Adoption Posting Program is a proactive program designed to reduce the number of cats turned in to local shelters, while maintaining a safe and comfortable environment for them. The goal of this service is to empower good pet owners to be advocates for their pets and to find permanent, loving homes for them. TCR always takes back cats that were adopted from our foster program. If you need to return your TCR adopted cat, please see the information on our Post Adoption Support program. 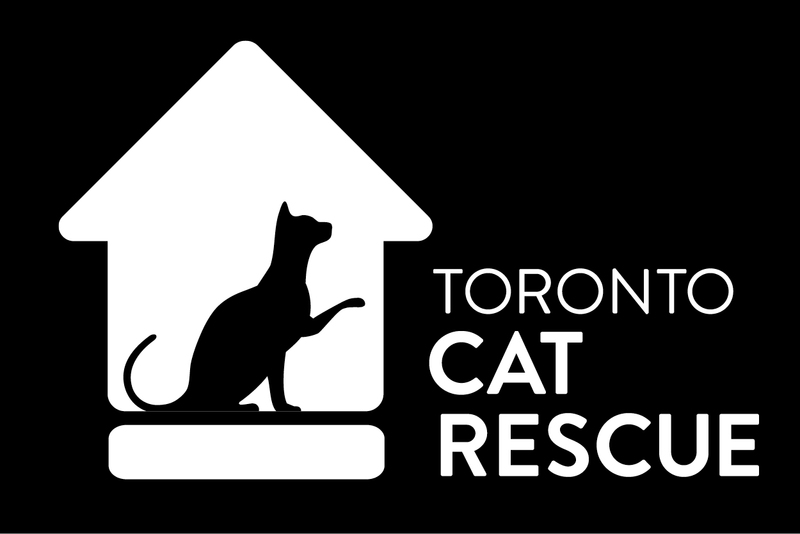 The Toronto Cat Rescue Courtesy Adoption Posting Program allows you use of our volunteers and our website to assist you in your efforts of finding your cat a new home. Cats participating in the program are not Toronto Cat Rescue cats. Your cat will remain with you in your home and be posted on the Available Cats section of our website, and on websites we are affiliated with (ie. PetFinder.com and Adopt­A­Pet.com). Toronto Cat Rescue volunteers will provide guidance on how to write a compelling bio, take attractive pictures and provide tools to assist you in screening potential adopters and selecting the right new home for your beloved cat. Please click here for our application form which contains more information and program requirements. Due to the high volume of surrender inquiries, phone messages will not be returned. Thank you for taking the time to find your cat a new, safe, forever home. We will do all that we can to assist you. Although this is a courtesy service, we welcome your donations. All proceeds support our lifesaving work. * Toronto Cat Rescue does not accept responsibility for any pet placements that result from the listing as part of our Courtesy Adoption Posting Program. This is a free courtesy service offered to the public, and the cats shown are not property of Toronto Cat Rescue. All liability for placement of re-­homed animals is between the owner and the potential adopters.